Offering high quality, bespoke sales and marketing services to all business types - from SME's to large multinationals, using credible, well trained and highly experienced members of staff who have the motivation to project the highest levels of professionalism and service delivery. "UK Sales and Marketing Solutions have been successfully securing additional business opportunities to Progress to Excellence Ltd for more than two years. Our experience of their service has been second to none with outstanding frequency of communication. This transition of service has been seamless within our business structure. I would fully recommend any other business to utilise this high end service." "UK Sales and Marketing Solutions did a really good job. They understood just what we needed, offered good advice and were clearly knowledgeable through their experience. Most importantly, they delivered. We would have no hesitation in recommending them, or working with them again." "UK Sales and Marketing Solutions provided us with a good, reliable, professional telemarketing service." "Great working with UK SAMS. They did not just blindly carry on when any issues arose, but called to talk them through and offered potential solutions. Will use again." Give us a call +44 (0) 114 3030 444 or send us an email at info@uk-sams.co.uk. We are looking forward to hearing from you. 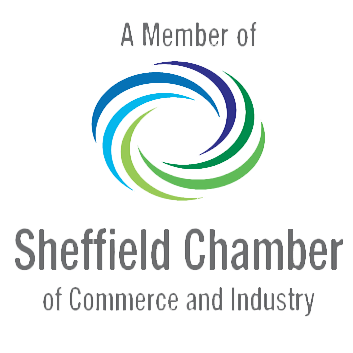 Established in 2010 and based in the City of Sheffield, UK Sales & Marketing Solutions are a family run business offering high quality, bespoke Business to Business and Business to Consumer outbound telemarketing services. We work with both public and private sector organisations offering tailored solutions to businesses who wish to expand their client base. All of our staff members are well trained, highly experienced individuals who ensure that the highest levels of professionalism and service delivery are offered to our clients at all times. We take a genuine interested in your business and the goods and /or services that you offer and we continually strive to help you increase your business and sales pipeline. By outsourcing your telemarketing function, you remain free to focus on your core business objectives and activities whilst staying productive and competitive. What’s more, outsourcing can be a cost effective and productive option. A strong telemarketing strategy is a must if you want to expand the market coverage of your business, bring in new customers and increase your revenue. Here at UK Sales & Marketing Solutions, we will play an integral part of your business by developing and implementing that strategy for you.